Plate reverb is arguably one of the most used types of reverb in music. Its rich texture and versatility make it a go-to for countless engineers. Slate Digital has partnered with Liquidsonics to bring plate reverb to the Slate universe. You’ve NEVER had more sonic depth or control with ANY other plate emulation, and you’ll NEVER look at reverb plugins the same way again. Powered by Fusion-IR | Synthesis, LiquidSonics’ Lustrous Plates is a rich and luxurious contemporary plate design with seven distinctive models. It features a one-of-a-kind multiband dynamic analysis method, which allows for an ultra-precise profiling of each plate’s natural decay! This not only reproduces the natural decay of real hardware plates, but also allows you to fine-tune plate controls in ways that are 100% unique to the needs of your mix. 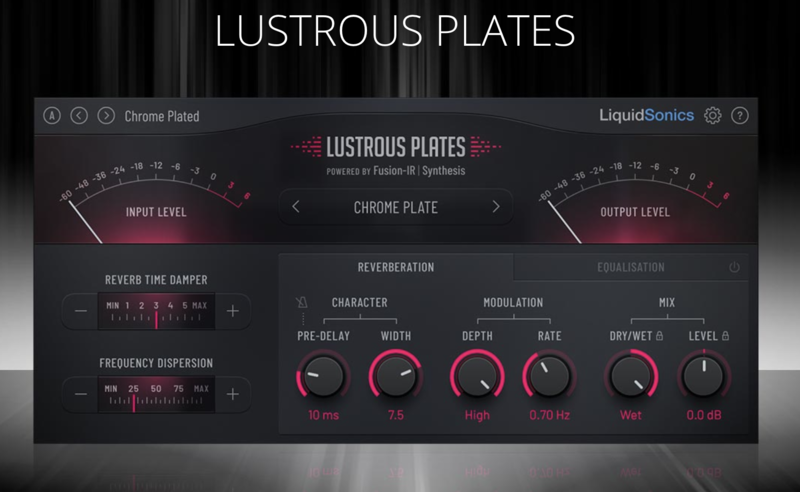 Lustrous Plates comes with professionally-designed presets for drums, guitars, vocals and more, so you can find the perfect plate for your mix with ease!